THE CONFERENCE IS NEXT WEEK! 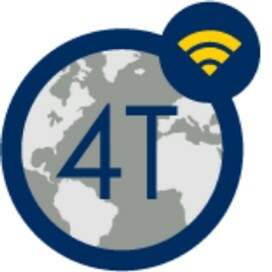 We're just a week away from our third and final 4T Virtual Conference on Data Literacy and look forward to seeing you July 11 and 12, from noon - 5pm Eastern. Please read over the following so the only surprises you have during the conference are delightful ones about new resources and ideas! Logging on for Sessions: You Can Do It Now or Wait Until Conference Day! Thanks to ICPSR, we're using GoToWebinar as our webinar platform this year. Links for each session have been posted on the conference schedule page. For those who like to be organized in advance, you can visit the links now to get personal login credentials via email for each session. If you prefer to log in on conference day, that's easy, too. Click on a session link no sooner than 30 minutes prior to a session and provide your name and email (use your Michigan Department of Education MOECS email address if you're attending for SCECH credits), and you'll be fast-tracked right into a session. Got questions? Just ask Amy at 4t.data@gmail.com. While you can use the GoTo Webinar apps for iPhone, iPad, and Android for this conference, your experience will be enhanced if you use a laptop or Chromebook because it will be much easier to see the details in the datasets and graphics shared by our presenters. In previous newsletters, we told you about one of our two publications made possible with funding from the Institute of Museum and Library Services, Data Literacy in the Real World: Conversations and Case Studies. 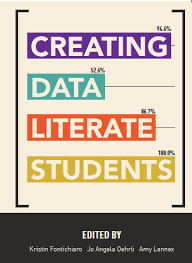 If you're looking for a book that lays the groundwork for data literacy and visualization concepts, including how our team of experts frame, discuss, and implement concepts in their work with high school students, we invite you to check out our project's first book, Creating Data Literate Students. Our moderator Lynette Hoelter gives you the run-down on statistical basics. Wendy Steadman Stephens points you toward some datasets you might find useful when integrating data into your curriculum. Tasha Bergson-Michelson helps you hone your data search strategies and consider "statistical storytelling," or how data gets framed in written language. Connie Williams shares her tested-and-true techniques for breaking infographics creation down so the focus is on the thinking, not the tech tool. Susan Ballard shows you how you can gather your own data by designing action research projects. Once you get a handle on how data improves your classroom or library, you'll be ready to set your students loose on their own projects! Thanks to our IMLS funding, you can download this book for free here or hop over to Amazon for a full-color, illustrated print copy, where those versions are priced at cost for you (we don't make a profit! ).